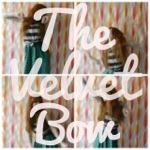 The Very First Velvet Bow Giveaway!!!! Come Along Fawn…now partly open. I can’t contain it any longer! Come Along Fawn is open. Just starting out a little slow with some jewelry. But fantastic jewelry it is, in my opinion. All hand made by me! Just click on my shop name up there! Happy shopping! I know, I know, first I blog too little, now too much. I just couldn’t wait to show everyone in the world the jewelry, especially the rings!, I made. They will be for sale by Sunday morning. Probably Saturday evening because I’m too excited to open my etsy shop back up. Here! First gander.